6/23/17: Congratulations to your 4 Yolos who earned SoPac All-Region honors for their performances this year! Henry Fienga earned 1st team honors, DJ Mico and Scott Cranny took home 2nd team honors, and Michael Green took home 3rd team honors. Henry lead the way for us on the mound this year. He posted a 5-0 record with a 1.74 ERA and an amazing 38 strikeouts! DJ hit .418 this season with an OBP of .515 and 13 RBI. He and Scott also locked down the left side of the infield for us all season. For the second year in a row, Scott led the team in all of the triple crown categories. His .561 average (1st in the nation), 21 RBI, and 2 HR provided the fuel for the offense all year. Michael hit .375 with a .506 OBP and 20 RBI this year while also working hard to keep the run game in check from behind the dish all year. A big congratulations to all of our Yolos on a great year! We look to be back and better than ever next season. 5/10/17: HENRY FIENGA EARNS NATIONAL PITCHER OF THE WEEK! : Congratulations to Henry for earning National Player of the Week! Henry is only the 2nd Yolo to earn that honor in the last 4 years. 5/9/17: Congratulations to DJ Mico and Henry Fienga for earning SoPac North Conference Player and Pitcher of the Week! 5/7/17: The Yolos beat Nevada today by a score of 11-3. Henry Fienga tossed 6 strong innings while allowing just 2 runs (1 ER). Danny Nilsen and Troy Prober combined to close out the game by allowing just 1 run while striking out 4. The bats were on fire today as all of the starters reached base safely at least twice. 6 Yolos had multihit games including 3 hit games from Aaron Leong, DJ Mico, Scott Cranny, and Michael Green. Daniel Weatrowski and DJ Mico both collected 3 RBIs. This win keeps us in contention for the At-Large Bid to the SoPac regional tournament next weekend in Lancaster. We will keep you posted as we learn more from the league, but anticipate info about games next weekend either way. Go Yolos!5/6/17: We are back in action tomorrow at noon against UNR. This non-conference game will be at the beautiful baseball field on the UC Davis Campus. Parking and admission are free so come on out and support your Yolos! 5/2/17: Congratulations to Henry Fienga for winning Conference Pitcher of the week for his performance vs Cal! 4/29/17: Yolos took 2 from Cal today to secure the season sweep and lock themselves into a top 2 spot in conference. Strong pitching performances from Henry Fienga and Danny Nilsen allowed just 1 run and 7 hits over the 2 games. The Yolo bats were hot in game 1, smacking 18 hits that lead to 10 runs. DJ Mico went 4-4 and Michael McGill went 3-4 to fuel the Yolo offense. AJ Nowell got his 2nd career walk-off mercy rule hit. Ev Valdez hit a 2 out, 2 RBI single in the 1st inning to put the Yolos ahead. Dennis Moon knocked in 2 more in the 3rd inning and DJ Mico knocked in the final Yolo run of the game. 4/23/17: Yolos dropped a tough one to Sac St. today by a score of 4-3. Danny Nilsen threw a solid 8.1 innings while Scott Cranny and Troy Prober collected RBI triples. We will be back in action this Sunday at the Davis Playfields for 2 games against Cal. 4/22/17: Yolos will be in action tomorrow at 2 pm tomorrow as they take on Sac State. This will be the 1st game of the year on the D1 field, so come on out to the heart of campus and check out some Causeway Classic action. See you there! 4/16/17: The Yolos split the doubleheader on Saturday to come out og the series with 2 wins against Sonoma State. Game 2 was a close one, ending 2-1 in favor of Sonoma. Jason Peck threw well in a complete game effort, but only 4 Yolos were able to collect hits. Game 3 was a different story, as the Yolos put up 9 runs on 15 hits. Henry Fienga threw 6 innings and allowed just 2 runs, while 5 Yolos (Scott Cranny, Henry Fienga, Troy Prober, Everardo Valdez, and Daniel Weatrowski) had multi-hit games. We are off next Saturday for Picnic Day, but are trying to throw together a game for Sunday afternoon. We will keep you posted as more information becomes available! 4/14/17: Yolos win 4-3 to start off the series. Tonight's win was highlighted by some great pitching by Aaron Leong, Victor Mungary, and Troy Prober. We will be back at it again tomorrow at 11 AM at the Playfields. Go Yolos! 4/13/17: We're having home games! Come out to the Davis Playfields (2500 research Park Drive, Davis, CA 95616) Friday night at 7pm as we take on Sonoma State. If you can't make that, we will have 2 games Saturday at the same field starting at 11 am and ~1:45 pm. As always, if you can't get out to the field, check our twitter (@UCD_Yolos) for game updates. Go Yolos! ​4/9/17: Yolos dropped 3 games to mother nature on 1 game to Sac by a score of 8-3 this weekend. We will be back in action with anywhere from 3 to 5 (!) games next weekend. Updates to follow throughout the week. 4/9/17: We are heading to Sac State tonight to play a non conference game! Game starts at 6 pm on John Smith Field, the Sac St. D1 Field. Hope to see you out there! 4/7/17: You guessed it, we have been rained out of our games this Saturday. We are still hopeful that we will be able to get in some baseball against Sonoma State and Sac State on Sunday. We will keep you posted as we hear more on either front. Until then, stay dry and go Yolos! ​4/2/17: Tough weekend for the Yolos, but we handed UNR their first loss of the season. Game 1 ended 9-5 Yolos with Games 2 and 3 going to the Wolfpack by scores of 13-3 and 7-2. Yolos hit 4 homers on the weekend coming from Scott Cranny (2), Henry Fienga, and Aaron Leong. Henry and Aaron both threw complete games and over 130 pitches! We will be back in action this weekend against Sonoma State. Stay tuned for an event invite! 3/13/17: Yolos take 2 of 3 from Stanford, losing game 1 13-12, and winning games 2 and 3 by scores of 13-5 and 16-3, respectively. The Yolos offense was on fire all weekend and saw 4 different Yolos (DJ Mico, Scott Cranny, Jason Peck, and Michael Green) collected at least 5 hits on the weekend. Additionally, Danny Nilsen, Anthony Canavesio, Henry Fienga, Matt Heath, and Victor Mungary had solid outings on the mound this weekend. Your Yolos are next scheduled to play April 1 and 2 in Nevada, but are trying to schedule some games this weekend. We will keep you posted as more information becomes available. Go Yolos! 3/10/17: We are off to Stanford for 3 more conference games! We will be playing the 9 inning game on Saturday starting at 2 pm at Sequoia High School in Redwood City and our doubleheader starting at 10 am at Menlo-Atherton High School in Menlo Park. Twitter will be abuzz with updates this weekend. Check it out if you can't make it to the games! 3/7/17: Yolos sweep SoPac North Conference Players of the Week for the 2nd week in a row! Scott Cranny and Aaron Leong earn Conference Player and Pitcher of the week, respectively, for their performances vs. Cal this weekend. Scott went 2-4 with an RBI and 2 runs scored while Aaron threw 6 innings of no-hit ball. The Yolos look to keep it rolling this weekend against Stanford. 3/5/17: We have cancelled games for today. The fields in the area all received too much rain yesterday to allow us to play today. We will keep you updated about makeups with Cal once they are scheduled. 3/4/17: Yolos win game 1 against Cal by a score of 4-3! Aaron Leong threw 6 innings of no hit baseball and the bullpen shut down the Cal offense for the last few innings. Timely hits by Dennis Moon and Scott Cranny propelled the offense forward. 3/3/17: Change of plans (again): Due to the ever-changing weather forecast, we will be mixing our game schedule yet again. Saturday's games will no longer be at Dobbins Field. We will be playing 1 game at Will C Wood High School in Vacaville starting at 1 pm. We will then plan for 2 at Dobbins Field on Sunday at 10 am. We apologize for any inconvenience this causes any of you and we appreciate your continued support! 3/1/17: Green and Leong Sweep SoPac North Conference Players of the Week! Congratulations to Michael Green and Aaron Leong for earning Conference Player of the Week honors! Michael went 3-7 with a double, 6 RBIs, 5 walks, 1 run scored, and 1 stolen base. Aaron went 3-5 with 2 RBIs, 5 walks, 6 runs scored, and a stolen base on top of his 9 inning CG win! 2/26/17: Yolos take games 2 and 3 by scores of 4-3 and 12-1, respectively. Aaron Leong threw a 9 inning copmlete game in the morning game today backed up by some clutch hitting throughout the game. Michael Green had 2 RBIs and Henry Fienga had a huge outfield assist in the bottom of the 9th to keep the score 4-3. Danny Nilsen then threw 6 strong innings in the final game of the series, allowing just 2 hits. Scott Cranny's 4 hits and 5 RBIs in game 3 guided the offense. Next weekend we will be hosting the Cal Bears on the Dob. Look for an event invite in the next couple days! 2/25/17: Due to some field conflicts, we only got 1 game in today. However, the Yolos took game 1 of the year 18-5 over St. Mary's. DJ Mico went 3-3 with 3 RBI and 3 runs scored to kick start the offense and Henry Fienga tossed 4 strong innings while allowing just 1 hit. We will play 2 tomorrow starting around 12:30pm. Twitter will be ripe with the live updates tomorrow. 2/24/17: After 3 consecutive weeks of being rained out, your Yolos will be in action this weekend! We will open conference play against St. Mary's with a doubleheader starting at 11 am on Saturday and a 9 inning game starting at 11 am on Sunday. All games will be at Pittsburg City Park off of Railroad Ave. Hope to see you there. Go Yolos! 2/17/17: One of these weekends we will actually start our season. However, that will not be this weekend. We look forward to playing some ball against St. Mary's on the 25th and 26th. We will keep everyone posted about game time and location as that info becomes available! ​2/11/17: Mother nature wins another battle against the Yolos. Games scheduled to take place in Chico tomorrow have also been cancelled. We will try again to get season started next week as we (hopefully) will host Oregon State at Dobbins Field. 2/11/17: Hello fans! Unfortunately our games today have been cancelled due to poor field conditions. We are hopeful that we will get games in tomorrow up in Chico, but are still awaiting confirmation from them about the status of their field. We will keep you posted! 2/3/17: Hello fans, unfortunately Mother Nature was not on our side this weekend as rain in San Luis Obispo has forced us to cancel our games against Cal Poly. We will hopefully get or season underway next weekend against Chico State! 1/27/26: Only 8 days away from our season opener against the Cal Poly Mustangs in San Luis Obispo! Mark your calendars to make sure to check out your favorite club baseball team in action this year! 11/7/26: The Yolos have concluded their tryouts! We would like to thank every single player that came to tryouts these last few weeks. The Yolos would like to welcome the following players to the Yolo family: Nathan Domico, Ti DeMeo, Michael McGill, Jacob Prtichard, Daniel Weatrowski, Anthony Canavesio, and Henry Fienga. 10/22/16: Our spring schedule has been released! Check out the Schedule/Results tab at the top of the page for more information! October 22nd-23rd: Practice/tryouts at Davis HS JV Field. Time TBD. Time and locations subject to change. We will post information as it becomes available. 8/12/16: We are currently scheduling non-conference games for our spring season! If you are interested in setting up a series with us, please email Ethan Victor at ejvictor@ucdavis.edu. 6/27/16: Congrats to Scott Cranny for earning 2nd team All-America with his hard work this season. In 24 games this season, Scott hit for an average of .573 (good for 5th in the nation), collected 43 hits (9th in the nation), and had an on base percentage of .613. Scott lead the team in all major offensive categories except doubles, triples, and stolen bases. 6/20/16: Congratulations to the 3 Yolos who made the So-Pac All-Region teams! Scott Cranny earned 1st team honors at 2B while Brandon Viceral and Danny Nilsen earned 2nd team honors at C and Starting Pitcher, respectively. 5/15/16: Yolos win both games today against Sac State. Jason Peck collects the walk-off 2 RBI single in game 1 to give the Yolos a 13-12 victory. Game 2 was dominated by strong offensive performances from Aaron Leong andD.j. Mico and a strong outing on the mound from Ryan Rochioli. Final score of game 2 was 8-4. 5/14/16: The Yolos take on Sac St tomorrow for their last games of the season. They will be on the UCD D1 field starting at 10 am and ~1 pm. Hope to see you out there to cheer on our awesome seniors in their last club baseball games! 5/2/16: Yolos drop all 4 games of their final weekend of conference play. The UNR games ended in 8-3, 11-1, and 12-0 scores, while the Humboldt State game ended in 12 innings with a score of 6-4. These games mark the end of our regular season, in which we finished 2nd in conference with an 8-5 record. We would like to thank all of our fans and family for all of the support this year, from coming to cheer us on at our home AND away games to supporting our fundraisers to bringing snacks and meals to our games. We really appreciate all that you do for us and hope to see you out at our games in the future! 4/29/16: It's game day here in Davis! 1st pitch against UNR will be at 7:30 pm at the Davis Playfields. This should be an exciting series with the winner likely going on to the regional tournament to represent the SoPac North. Hope to see you all out there! Go Yolos! 4/27/16: Green earns Player of the Week honors for his performance in the team's sweep of the Cal Bears. The Yolos look to keep it rolling this weekend in a huge series vs Nevada and a makeup game vs Humboldt State. 4/24/16: Quality starting pitching and a good game from the offense powers UCD to a 10-6 win over Cal, completing the sweep. DJ Mico went 2-3 with 4 SBs and 3 runs scored. Brandon Viceral and Michael Green both went 3-5, accounting for 6 of the Yolo RBIs and 3 of the runs scored. Kirk Crump threw up 5 innings of 2 hit baseball, allowing just 1 run to the Bears and Josh Wesely came in and closed the door, pitching 2 innings to get the save. 3 games vs Reno next week and hopefully 1 game vs Humboldt to makeup the rainouts. We will keep you posted on game times. Go Yolos! 4/23/16: Yolos win both games today behind some quality work from the bullpen. After Jason Peck left the game with an arm injury in the 3rd inning of G1, Ian Farran and Matt Heath came in and shut the door for a 5-4 final score. In game 2, Ryan Rochioli went all 7 innings, allowing just 2 runs while striking out 6. Final score 5-2. 4/22/16: We're off to Cal this weekend to take on the Bears in a crucial conference series. Games are at City Park in Pittsburg starting at 11 am both days. Doubleheader will be Saturday and the 9 inning game on Sunday. Go Yolos! 4/18/16: After enjoying Picnic Day this weekend, the Yolos prepare for a 3 game series against school rival, Cal Berkeley. Huge series coming up for the Yolos this weekend. 4/10/16: All games this weekend vs Humboldt State have been cancelled. Any news on makeup games will be posted. 4/8/16: Weather looks like it might be a factor in this weekend's games vs Humboldt, but the website will stay updated with game times. Check the schedule page as the weekend progresses for the most up to date info. 4/5/16: Josh Wesely takes home SoPac North Conference Pitcher of the week for his outstanding performance against St. Mary's this weekend! 4/4/16: Congrats to our President, Michael Green, who has been voted UC Davis Sports Clubs MVP of Winter Quarter for his hard work on and off the field! His picture will be hung on the Wall of Fame in the ARC for the remainder of the quarter. 4/3/16: Yolos win 2 today behind some strong pitching and take 2 of 3 from St. Mary's. Thanks to all of the fans who came out to support and to the parents who brought us food all weekend. 4/2/16: Yolos fall in game 1 to St. Mary's 10-1. Games 2 and 3 are tomorrow on Dobbins Field starting at 11 am. 4/1/16: Games are on the D1 field this weekend! Give yourself some extra time to find parking on Saturday because there is a campus event that may make parking in the ARC lot difficult. 3/29/16: Yolos are back in action this weekend against St. Mary's. We will be at Dobbins Stadium, the UC Davis D1 field, for the first time in program history! Games will start at 11 am each day with a doubleheader Saturday and a 9 inning game Sunday. Be sure to plan extra time for finding parking on Saturday because the UCD campus will be hosting a major event for incoming freshmen. 3/12/16: Unfortunately, all of our games this weekend have been cancelled. We will be back in action after Spring Break with a 3 game series on April 2 and 3. 3/7/16: OUR CLOTHING FUNDRASIER ENDS TOMORROW NIGHT! If you are interested in buying anything, please click on the fundraising tab above for more information. 3/4/16: Unfortunately, the rainy weather has forced usto cancel our games this weekend. We will be making up our series against UNR April 30 and May 1. 3/2/16: Scott Cranny takes home SoPac North Conference Player of the Week award for the 2nd time in 4 weeks. He also leads the nation in hits and average! 2/28/16: Yolos win game 3 14-7 to secure the sweep over conference foe Sonoma State. Will be back in action next week vs Reno. 2/27/16: Yolos take games 1 and 2 vs Sonoma by scores of 11-1 and 7-2. Game 3 is tomorrow at Rancho Cotate High School starting at 11 am. 2/25/16: Yolos head to Sonoma State this weekend to start their conference schedule. Saturday will be a doubleheader at Golis Park starting at 11 am and Sunday will be a 9 inning game at Rancho Cotate High School starting at 11 am. 2/23/16: Peck take Player of the Week honors for the SoPac North for his performance vs UCLA. Looking for him and the squad to stay hot vs Sonoma this weekend. 2/23/16: Our game schedule for the weekend has changed. We will be playing the 9 inning game stating at 1 pm on Saturday and the doubleheader will start Sunday at 11 am. The Saturday game will be at Golis Park and the Sunday games will be on the JV field at Rancho Cotate High School in Rohnert Park. ​2/22/16: Our clothing fundraiser is live! We are selling hoodies in gray and navy blue and tee shirts in white and navy blue. Check out our designs at http://ucdavisclubbaseballclothingfundraiser.weebly.com/ and place your orders at https://www.surveymonkey.com/r/FQSXHN5. 2/21/16: The Yolos went down to UCLA and were able to come away with the 3 game SWEEP. Solid starting pitching helped in each game. Jason Peck and Danny Nilsen threw complete games and Kirk Crump completed the rotation with a quality start in game 3. The bats were alive this weekend as Nilsen and Peck both got 4 hits and Scott Cranny added another 6 hits on the weekend. 2/17/16: Congrats to our very own Danny Nilsen for earning Conference Pitcher of the Week! This is Danny's 2nd time receiving this honor. 2/14/16: Yolos win game 3 by a score of 8-1. Kirk Crump threw 6 strong innings and the bats came alive in the rubber match of the series against Chico St. Next up, UCLA! 2/13/16: Yolos split the doubleheader, winning game 1 3-0 and losing game 2 12-6. Danny Nilsen threw a CG shutout and a pinch hit homer by Brandon Viceral got the offense started in the top of the 7th. Game 3 is tomorrow at Lee Middle School in Woodland, CA starting at 11 am. 2/9/16: Yolos sweep Conference Player of the Week honors! Congrats to Scott Cranny and Jason Peck on their great performances last weekend! 2/8/16: Yolos dropped 2 of 3 to Cal Poly this weekend, but still had some stand out performances and showed many good signs as we progress towards regular season play. 2/5/16: The Yolos have arrived in Cal Poly. Looking forward to starting the season with a doubleheader starting at 5 pm tomorrow and a 9 inning game Sunday morning starting at 11 am. 1/30/16: Unfortunately our games tomorrow against Reno have been cancelled due to poor field conditions. We will be getting into season play next Saturday in Cal Poly. 1/22/16: Season is just around the corner! Our schedule has been updated and will continue to be as needed. Preseason scrimmage against UNR is scheduled for 1/31 and will be played at Lee Middle School in Woodland, CA. See you there! 11/22/15: The tryout process has concluded! Congratulations to the newest members of our Yolo Family! We are very excited that Ryan Rochioli, Brandon Viceral, Jason Peck, Scott Cranny, Kosuke Uehara, John Murray, AJ Nowell, Everardo Valdez, Ian Farran, Jason Lin, Kirk Crump, Matt Heath, Victor Mungary, and Max Tafarella will be joining us for the 2016 season. 9/15/15: Interested in trying out for the Yolos? There will be an informational meeting for all club members Wednesday September 23 at 1 pm in ARC Meeting Room 2. See you there! 6/18/15: Congratulations to senior second baseman, Shane Billings, as he earns 3rd team All America honors for his outstanding season! This is the first time in several years a Yolo has earned this honor. 6/12/15: Yolos land 5 on the SoPac All-Region Team! Congrats to 1st team 2B Shane Billings, 2nd team 3B Rob Solby, and 3rd team OF Jake Aucelluzzo, C Michael Green, and SP Joe Marsh. 5/4/15: At the close of the season, UC Davis finishes with several players ranked in the nation's top 10 in several categories. Shane billings finished ranked 9th in stolen bases, 10th in doubles, Rob Solby finished 8th in homeruns, Michael Green finished 5th in doubles and 3rd in hit by pitches, and DJ Mico finished 3rd in sac bunts and 6th in sac flies. On the pitching side of the ball, Danny Nilsen finished 3rd in games started and 9th in innings pitched, Michael Green finished 3rd in saves, and Joe Marsh finished 3rd in innings pitched. As far as leading conference goes, Danny Nilsen finished season leading the conference in wins and 4th place in strikeouts, Joe Marsh lead the conference in strikeouts, and Rob Solby and Michael Green finished 2nd and 4th in homeruns, respectively. 5/3/15: Yolos sweep Chico 11-1 and 13-3 to close out the season. They end the year with the highest overall win total in conference. Congratulations on great careers to the 7 seniors who suited up for the last time today! 5/2/15: Sunday marks the last time that 7 of our wonderful seniors will suit up in a club baseball uniform. Come on out and support them and the rest of the team as we take on Chico State at Winters High school. The doubleheader starts at 10 AM. 4/29/15: The Yolos have added 2 more games to close out the season. They will play a doubleheader against Chico State at Winters High School this Sunday. The 10 AM game will be a 9 inning game and the 2nd game will be 7 innings. 4/28/15: Green takes home conference player of the week honors for the 2nd time this season. This is the 6th time a Yolo has won those honors this year. 4/27/15: Yolos finish up their conference season by going 2-2 in their last 4 games. They lost a heartbreaker to Humboldt Friday, 11-10. They then lost via mercy to Reno 12-2. However, they turned it around to knock off Reno in the final 2 games of the series. Joe Marsh throws 8 IP on 172 pitches today and Michael Green hits a dinger and 6 RBI to power the Yolos into 3rd place in conference. 4/24/15: With a chance to go to regionals still in the realm of possibility, 9 of your bravest Yolos will be heading up to Arcata Friday to make up a game against Humboldt St. They will then rejoin the rest of the squad before heading off to Reno for a 3 game series beginning Saturday afternoon. 4/12/15: Yolos win game 3 against Cal, 7-1. Rob Solby hits his 4th homer on the year, good for 1st in the nation. Josh Wesely and Connor Detko combine to shut down the Bears offense. 4/11/15: Yolos drop both games Saturday against Cal 5-0 and 1-0. Danny Nilsen and Joe Marsh both threw complete games while allowing only 1 earned run each. 4/10/15: Tomorrow, the Yolos will be in action at the Davis Playfields for a doubleheader starting at 10 am against rival Cal Berkeley. Come on out and join us! 4/5/15: The Yolos win both games they played this weekend, winning 8-3 and 2-1 against Humboldt State. 4/3/15: The Yolos head up to Arcata to take on Humboldt State. Check our twitter feed for live game updates! 3/17/15: Billings and Nilsen sweep Conference players of the week! This is the 2nd time this year the Yolos have taken home both honors in the same week. 3/17/15: Your UCD Yolos have been tearing the cover off of the ball so far this year! They currently have multiple players who rank top 5 in the NATION iin various stats. Rob Solby is first in runs and homers, 2nd in total bases, 4th in hits, and 5th in RBI. Michael Green is 2nd in hits and extra base hits, 3rd in runs and total bases, and 5th in average. 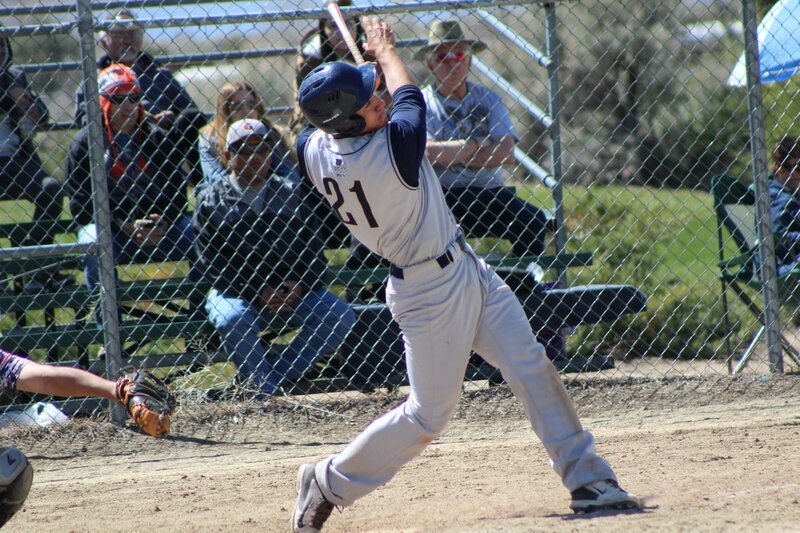 Shane Billings is 2nd in extra base hits and 4th in doubles. Additionally, Danny Nilsen has been gold on the mound, leading the nation in wins while ranking 3rd in innings pitched. 3/15/15: Yolos win game 3 against Sac State 14-11. Shane Billings and Rob Solby hit homers in the offensive eruption. The Yolos will resume play after spring break with a trip to Humboldt State. 3/14/15: Yolos split 2 games Saturday vs Sac State. Danny Nilsen collects a CG shutout win and Shane Billings, Michael Green, and Issak Olsen all collect 5 hits. 3/8/15: Due to a scheduling conflict with the umpires, the Yolos only played 2 games this weekend. In those 2 games, they split against Sonoma State, losing game 1 4-3 and winning game 2 10-4. 3/5/15: Yolos jump back into the NCBA top 20! They are now the highest ranked team in the conference! 3/3/15: Congrats to Josh Wesely for earning conference pitcher of the week with his performance against St. Mary's. Josh is the 2nd Yolo to take home the honor so far this season. 3/1/15: The Yolos take 2 of 3 from St. Mary's this weekend. A big performance from Josh Wesely today solidified the series for Davis. 2/25/15: Conference play starts this weekend for the Yolos. They will travel to Pittsburg to take on St. Mary's College in a 3 game series. Games will start at 11 am both days and will be at City park of Pittsburg at the corner of Railroad and Civic. 2/22/15: The Yolos earn a series win over Oregon. Shane billings had a walk off single in Game 1 and Michael Green had the game winning double with 2 outs in the 8th in Game 3. The Yolos will begin their conquest for a conference title next weekend at Saint Mary's. 2/12/15: The yolos will be off this weekend, but will pick up on the 21st as they host #13 Oregon in a big non-conference series. 2/5/15: Yolos join the NCBA Top 20 Rankings. Check them out here: http://www.clubbaseball.org/GetFile.aspx?fileId=5883. 2/4/15: Due to anticipated rain, the Yolos have had to cancel this weekend's tournament. 2/4/15: Green earns NCBA National Player of the Week with his performance against Cal Poly! 2/3/15: Green and Leong sweep SoPac North conference player of the week honors! 2/1/15: The Yolos start the season off HOT! They grab the first 2 games of the season by scores of 7-1 and 9-5. Aaron Leong and Danny Nilsen picked up wins on the mound while Michael Green hit the team's first homerun of the season. The Yolos lost game 3, but had a strong showing against Cal Poly. 1/24/15: In a tune up doubleheader scrimmage against Reno, the Yolos fought hard, but lost them both, 5-2 and 2-1. Next week, they will be travelling to Cal Poly looking to start season off on a high note. 11/23/14: Yolo tryouts have been completed and we are pleased to welcome 12 new additions to the team! Congrats to Dennis Moon, Scott Cranny, Holt Maybank, Connor Stotz, Jarrett Crowell, Austin Miller, John Murray, Jake Aucelluzzo, Elijah Ontiveros, Shane Billings, Issak Olsen, and Daniel Lum. 5/5/14: Congratulations to our seniors and President, Sloan Boettcher, on a great year. The Aggies took the So Pac North title for the 1st time in 5 years this season and made a strong showing in the regional tournament, knocking out the #1 seed in their 2nd game. 5/4/14: The Aggies pull together a HUGE rally to overcome a 10-0 deficit to knock UCLA out of the tournament. Zach Rogers hit the walk-off single to score Sloan Boettcher from 3rd base. Unfortunately, they then lost the 2nd game of the day despite a complete game by Josh Wesley against Long Beach. 5/2/14: After a tough loss to Long Beach, the Ags look to turn it around and get their first regional win of the year. They play UCLA tomorrow at 9 am and will play again at 4:30 pm if they win. 5/1/14: Regionals begin tomorrow in Riverside as the Aggies take on Long Beach State at 7 pm at Reid Park. The Ags are currently ranked 17th in the nation. 4/26/14: THE AGGIES WIN THE SO PAC NORTH! Thanks to some help from Sonoma State, the Aggies jump into 1st place and will represent the So Pac North in the Regional Playoff Tournament next weekend in Riverside. 4/25/14: Unfortunately, and for the 3rd time this season, the weekend series has been cancelled due to rain. The Aggies await a decision about if they will receive the At Large bid for the regionals next weekend. 4/25/14: The Ags will being their final series of the regular season tomorrow at Woodland Christian High School with a double header beginning at 10 am. This will be the last home series of the year and has significant playoff implications. Come cheer on our seniors in their last home games this weekend. 4/21/14: Despite strong pitching outings from Nilsen, Kolding, and Marsh, the Ags only come away with 1 win in their series with Cal. All three pitchers threw complete games while Nilsen and Marsh allowed 4 and 3 hits, respectively. 4/17/14: For the first time in over 2 years, UC Davis have cracked the NCBA Top 20 Rankings! They will take on Cal as the #19 team in the nation. 4/16/14: Aggie baseball resumes this weekend with a crucial series: against the Cal Bears. There will be 2 games Saturday, beginning at 4 pm, at San Leandro Ball Park on Aladdin Ave, and 1 game Sunday beginning at 2 pm. This series has major playoff implicatinos so come on out and cheer on your Aggies! 4/6/14: The Ags complete the sweep with 2 wins over Sonoma today, 6-2 and 8-2. They will be off next weekend for Picnic Day but will resume play the following weekend in a critical series against the Cal Bears. 4/5/14: The Ags take game 1 from Sonoma State 3-2 as Joe Marsh tags out the tying run at home to finish off his 9 inning complete game. There will be 2 games tomorrow at Rancho Catate High School starting at 11 am. 4/3/14: Aggie baseball resumes this weekend with a 3 game series against Sonoma State. The Ags look to keep their first place position in conference play. They will play 1 game Saturday and 2 games Sunday at Rancho Cotate High School. 3/23/14: Behind a Complete game, extra inning, pitching performance by Danny Nilsen and a walk off walk by Aaron Leong, the Aggies took game 2 of the series 3-2. They then scored early in game 3 and shut the door, winning 5-3 and taking the series. 3/22/14: The Ags lose a close one 8-6 against UNR. They play 2 games tomorrow at the Playfields starting at 9 am. 3/22/14: Aggie baseball resumes today at 4 pm at the Davis Playfields! Come on out and watch as they take on UNR in game 1 of a 3 game conference series. 3/16/14: Behind strong pitching and dominant hitting, the Ags earn the sweep over the Gaels after DJ Mico's walk-off mercy rule single by a score of 14-4. The Ags will look to extend their 7 game win streak after winter quarter finals next Saturday, as they take on the UNR Wolfpack at the Davis Playfields. The Aggies currently sit atop the So Pac North conference with the only undefeated record. 3/15/14: The Ags take both games against St. Mary's 9-4 and 5-2. The Aggies will be looking for a conference sweep in game 3 will be tomorrow (10 am, Davis Playfields). 3/2/14: Unfortunately, rain interrupted the scheduled series this weekend between the Aggies and the Humboldt Jacks. Those games will be made up at a later date. Until then, the Ags have turned their focus towards the upcoming series against UNR 3/8 and 3/9. 2/23/14: The Aggies pull off the series sweep of Sacramento State with a BIG 16-4 win. They will host Humboldt State next weekend to continue conference play. 2/22/14: The Ags take the first 2 games of the series against Sac state with 11-1 and 2-0 victories. They will face off against the Hornets for the last game of the series tomorrow at 11:30 at El Camino Fundamental High School in a 9 inning affair. 2/21/14: Conference play begins tomorrow! The Aggies travel to Sacramento State to on the Hornets at El Camino Fundamental High School in a 3 game series. The first 2 games will be Saturday at 10 am and approximately 1:15 pm. 2/17/14: The Aggies close out the Carnival Classic with a win over Santa Barbara 10-0 to nab 5th place in the tournament. They take on Sac State next weekend to open conference play. 2/16/14: After an offensive outburst, the Aggies earned a game against Cal by beating NAU 8-1. Unfortunately, despite a near complete game no-hitter by Ryan Rochioli, the Ags fell to the Cal Bears 4-3. They will play UCSB Monday at noon at Elings Field before heading home. 2/15/14: After a tough loss to UCSD, the Aggies look to get their first tournament win Sunday at 12:30. They will take on Northern Arizona University in an elimination game. 2/13/14: The Aggies head off to Santa Barbara for the weekend to partake in the Carnival Classic. After a shakeup of the brackets, Davis will face UCSD in the opener on Saturday. 2/7/14: The next action for the Aggies will take place in beautiful Santa Barbara as part of the 3rd annual Carnival Classic tournament. They will face off against UCLA, USC, and Cal Poly on 2/15/14 and 2/16/14 in the opening round of the tournament. 2/6/14: Unfortunately, the series against USC scheduled for this weekend has been cancelled due to rain. However, the Aggies will face off against the Trojans as they take part in the 3rd annual Carnival Classic tournament in Santa Barbara over President's Day Weekend. 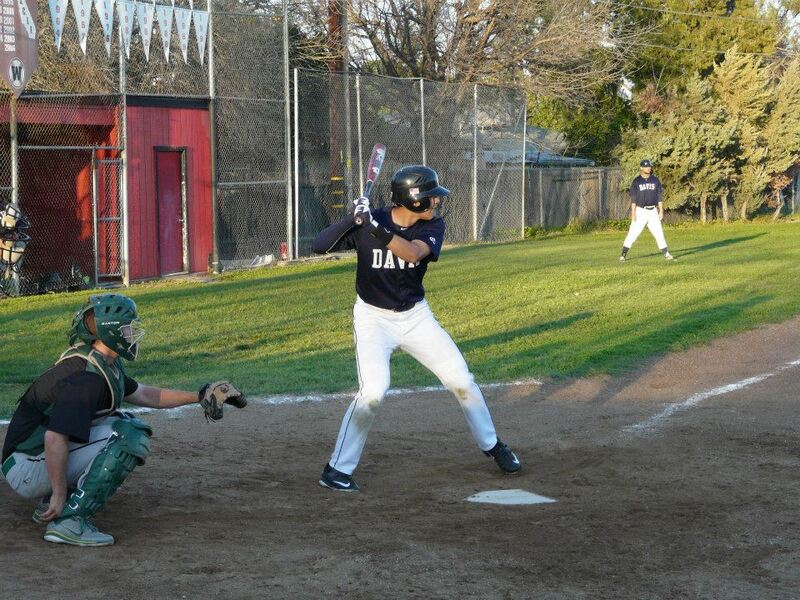 2/2/14: Aggie Club Baseball will resume with a 3 game series against USC at Woodland Christian High School. They will play a doubleheader on Saturday, 2/8, and a single game on Sunday, 2/9. 2/2/14: The Aggies traveled to Cal Poly on Super Bowl weekend to take on the Mustangs in a 3 game, non-conference series. They earned a split in the series after getting rained out of the 3rd game in the 2nd inning. Congratulations to Scott Cranny for earning 2nd Team All America for the 2nd year in a row! Scott hit .561 with a .633 OBP, 21 RBI, and 7 stolen bases to lead the team's offensive attack this year. Henry lead the team from the mound all year long. He posted a 5-0 record with a 1.74 ERA and an amazing 38 strikeouts! DJ hit .418 this season with an OBP of .515 and 13 RBI. He also stole 5 bases and smacked 5 doubles. Scott led the team in all of the triple crown categories. His .561 average (1st in the nation), 21 RBI, and 2 HR provided the fuel for the offense all year. Michael hit .375 with a .506 OBP and 20 RBI this year while also working hard to keep the run game in check from behind the dish all year. The Yolos have recently started a GoFundMe page. Check it out! 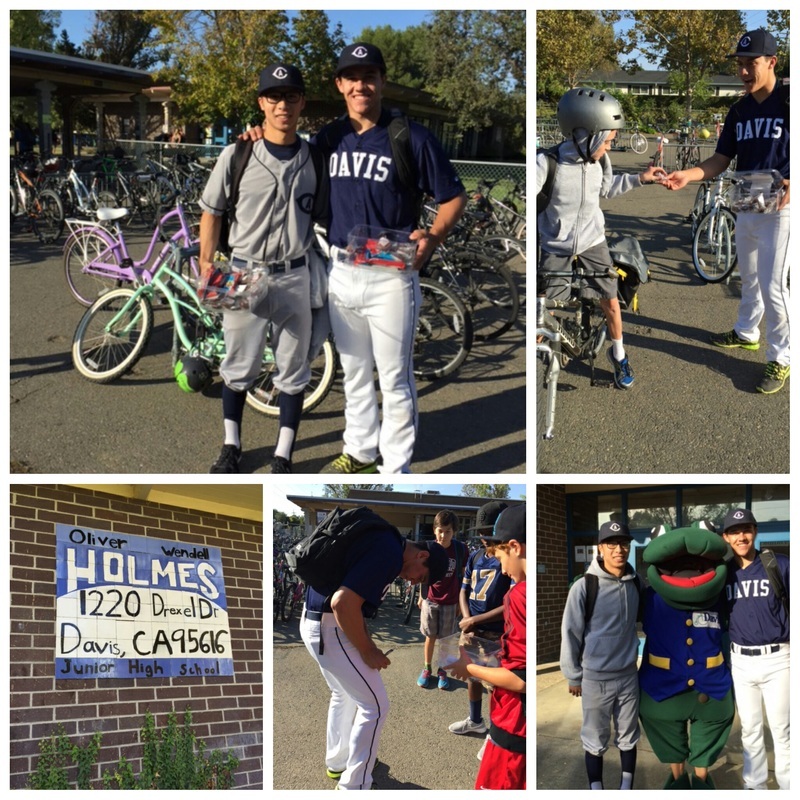 It's walk or bike to school day at the local elementary and junior high schools in Davis and a couple of the Yolos took to the community to promote active lifestyles! Special thanks to Scott Cranny and Aaron Leong for giving up their time this morning, signing autographs and giving out power bars to participating students.